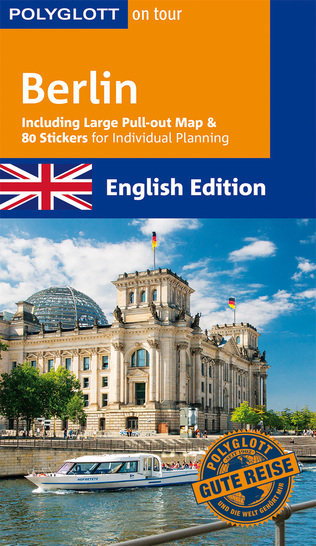 Discover and experience Berlin - now in English, too! The metropolis offers an abundance of sights and activities that can hardly be beaten by any other German city. The capital is colourful, lively and constantly changing. With POLYGLOTT on tour, travelers get to know Berlin’s genuine and dazzling sides. The classic amongst travel experts presents the city’s main sights on 15 individual and elaborated tours. The authors Manuela Blisse and Uwe Lehmann take visitors on a ramble through their home city’s versatile districts: a bicycle tour along the remains of the historic Wall, a trip to the Sanssouci Palace with its magnificent park, a night-out at the best bars and coolest clubs… That way, travellers get to know the city’s authentic and most recommendable sides. A chapter on local flair and first-class tips provide information and hints for a pleasant and exciting stay, including e.g. a bus tour through the Bavaria Filmstadt or a spectacular view on the Reichstag building from dizzy heights. Furthermore, tips for exceptional souvenirs, insights on local peculiarities, recommendations on true musts and advice against things that should be avoided, guide visitors cleverly through Berlin. A large pull-out map supports full orientation. Additionally, 80 helpful stickers can be fixed onto it for individual planning.